Branches Winery is thrilled to be one of the businesses that is collaborating on this exciting, new agritourism trail in southwestern Wisconsin. 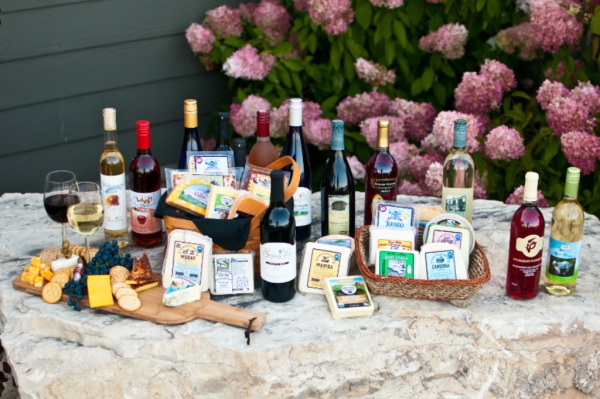 Made possible by a Buy Local, Buy Wisconsin Matching Grant from the WI-DATCP, this Trail invites visitors year round to experience estate wineries and award-winning creameries in the beautiful Driftless area. Ranging from small family businesses to an international co-op, each of our fellow trail members will roll out the red carpet for you on two special Trail weekends each year. The Trail brochure (available at all locations) includes a Passport to Savings: make a purchase at each business and get a stamp. Mail back your complete Passport by 11.30.18 to receive a VIP Discount Card for $5 off a $25 purchase at each location -- a $70 value ( valid through 2019). During Trail Weekends, businesses and will offer special things such as discounts, education, tours, and tastings. Trail is free to attend; normal wine tasting charges apply. Stay tuned for Trail Weekend Dates for 2019!